When your child’s home life becomes a matter of legal controversy, it’s in your best interest – as well as the interests of your child – to have an experienced child custody attorney in your corner. Muskogee family lawyers at Wirth Law Office help residents around Muskogee County, Oklahoma in child custody hearings and adjudications. An attorney can sometimes work with counsel representing the other parent to reach an amicable child custody agreement. When it becomes necessary to take matters to court, a child custody attorney is an indispensable advocate whose involvement can make a lasting difference in the life of your child. Divorces are emotional legal proceedings that can push parents’ emotional buttons. A family lawyer puts emotions aside to protect you and your child. Sometimes the child custody arrangement to needs to change. There can be any number of reasons for a change – the other parent’s living arrangements might have changed and your home may now provide a better setting for a child. The amount of time one parent has available might have changed. If the current custody agreement just isn’t working out, it is time to talk with a trusted child custody attorney at our office, which is located right behind the Muskogee County District Court. You’ve Split Up—What about the kids? Oklahoma divorce courts traditionally look to make sure the child’s best interests are in mind when making a decision about custody arrangements. That’s why you need a Muskogee child custody attorney that has experience making sure all those interests are addressed by the court. It’s important to know that from the first time that a parent seeks a divorce or even in a separation, through temporary and final court proceedings and throughout the life of a child, their choices could make a difference in the way a court sees their parental interests. It’s often a misconception that one parent will always get the children in a divorce. We’re here to tell you – that’s not always the case. The court will listen to a variety of sources when they make the decision, not just one parent. Anyone who is involved in a child’s life can help the court shed light on how much time should be spent with each parent. These are your children who mean the world to you, so you need to have someone who understands the child custody court system in Muskogee. 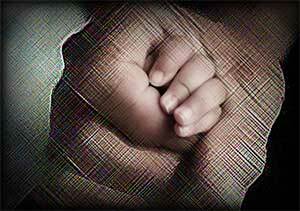 An experienced Muskogee child custody attorney can help you when you need to change your current custody arrangement. A family law attorney can answer your questions if you need the court to reconsider the child custody arraignment setup when you filed for divorce. For a confidential and free consultation with a Muskogee child custody lawyer, call the Wirth Law Office at (918) 913-0725, or call toll-free at 1 (888) 447-7262 [Wirth Law]. You can use the box at the upper right-hand side of this page to send us a message or question.